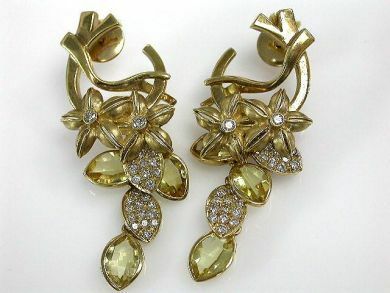 One 18 karat yellow gold floral earrings. Six citrines (4.55 carats). Fifty-six round brilliant cut diamonds(1.15 carats). Each earring has two satin-finished florets from which the citrines and diamonds are suspended.